Online security is becoming an extremely hot topic in popular conversation, and it’s no wonder why. Not only are we increasingly conducting more and more tasks over the Internet, but there also seem to be new reports of major hacking and information leaks just about every week. From fun little stories about threats from the “Anonymous” hacking organization, to serious reports of government agencies mining personal data from citizens, the need for Internet security is becoming more apparent. Unfortunately, aside from creating tricky passwords and ignoring spam emails, most people are relatively inexperienced when it comes to securing personal data and information online. With that in mind, here are 5 general tips that can help you to make your Internet identity more secure. Social networks are increasingly popular, and let’s face it: most of us can be a bit careless when using them. There are, however, very basic steps you can take with your Facebook or Twitter accounts to make sure that your privacy remains at least somewhat intact. Set your privacy settings strictly and remove yourself from search results, for starters. Then, just be careful about what you share, even with your close friends, on social networks. Odds are, if you sit and think about how many different websites and programs you’ve stored personal information on, you’ll realize there are far more than you tend to think. Many of us plug in and store personal information every time we purchase something, or subscribe to a service online, but frankly, this much exposure is extremely careless. It may be tedious, but try to limit this exposure as much as possible. The few extra minutes to enter your information each time, rather than storing it, are worth security. Various cloud computing and file sharing service providers, such as Sharefile, can offer you ways of sharing and transferring data far more securely than you typically do with ordinary email. With encrypted file transfer and password-protected communications, you can feel more secure about the safety and reliability of your online interactions. 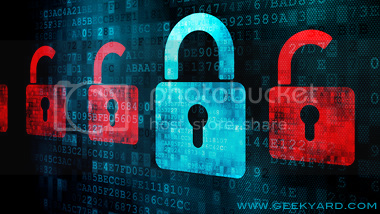 There are plenty of tips out there from reliable sources on how to create a secure password. It’s up to you to decide which specific tips to trust, but the topic is well worth researching. Relying on your own inventiveness and instincts for security is nice, but with Internet passwords it’s worth listening to the experts. It may not sound like a professional tip, but common sense is truly the best practice for Internet security. At the root of every specific security strategy is a basic idea: if you don’t want people to see it or read it, just don’t put it on the Internet. For better or worse, the Internet is no longer private, and that means it’s best just to play it safe. I definitely agree that online security is a hot topic but more importantly it is a real issue many people have only thought about as opposed to actually done something about. These five tips are simple to follow and implement but I think where people are lacking is in common sense. Even if you have the most amazing password, never open junk email, use spyware, and never go to suspicious sites people dont realize they are still at risk through social media. Posting pictures, tagging pictures, or updating a status may seem harmless but it gives others access into your personal life and it can be viewed by anyone. No one is invincible or untouchable anymore and as we post every second of our lives it will become easier for sophosticated hackers to gain access to every area of ones life and personal info. I like some of your security tips and i want to thank you about this article, but i have some arguements that i like to discuss with you. You say to limit storage of personal informatio, right? But everybody loves to be free and secure at the same time, so limiting the personal information storage is completly impossible. If i use your tip now, it means that i should not comment here because i am storing my email address and some spammer may get it and spam my inbox. Another thing i want to add is that if you keep your data on a machine that is connected to the internet, your data is not more private. I agree with other tips.